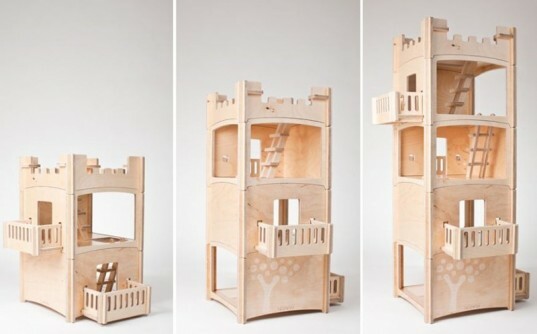 For the child with an ever growing imagination, the new Stackhouse Dollhouse from Toideloi is a dream come true. Feeling like a fabulous condo, a skyscraper, a small fairy village or even a castle? Stackhouse can be all that and more. 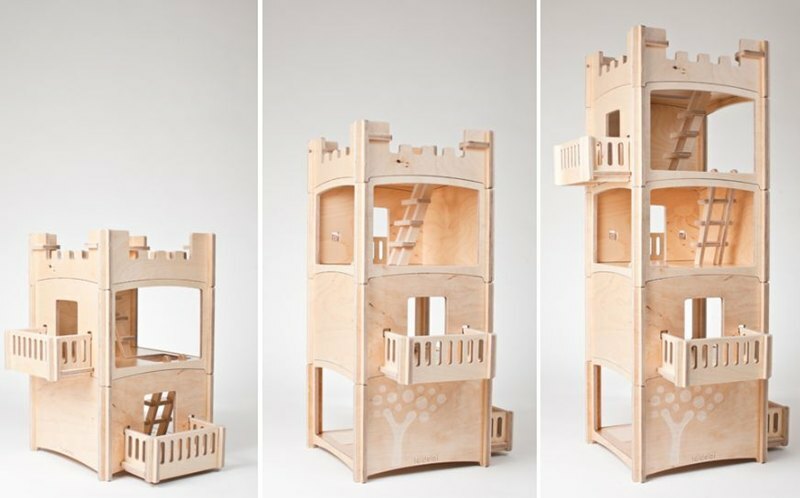 The Toideloi Stackhouse is a big (or sometimes small) wonderful new modular dollhouse. Children can easily change Stackhouse by rearranging and stacking the various rooms, balconies and roofs into many new and unique structures. Stackhouse is totally expandable – it can be as small or as big as your child likes, plus this cool dollhouse is eco-friendly to boot. Stackhouse is designed by Dutch designer Martijn van Tilburg, and made from Eastern European birch plywood, grown in sustainable forests. A clear lacquer finish tops each piece off. Because it’s made with birch, this dollhouse is lightweight and easy for even young children to move and rearrange. In fact, because it’s lightweight, this is the perfect dollhouse to take along on a play date – a room or two is easily mobile. The various walls and rooms simply slide together, and stay put, with zero tools required. All rooms are spacious and have big openings on two sides, so kids can play without knocking dolls and furniture over. Best of all, although long-lasting and made to last for years, this quality dollhouse is one of the most affordable eco-dollhouses available!